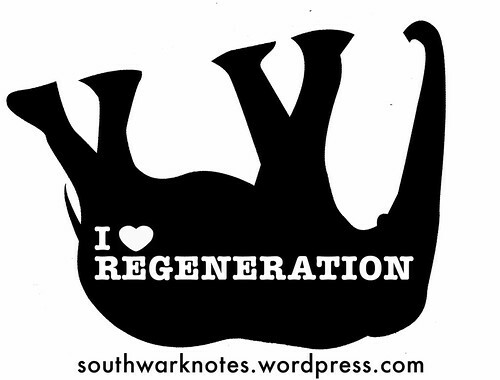 no free lunchfor peter johns | Southwark Notes - whose regeneration? “We are calling for as many of our friends and supporters as possible to come along tomorrow (Wednesday 4th March) in the day time. 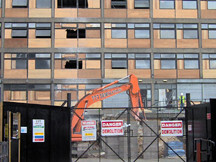 We’re starting the day with a solidarity demo outside Camberwell Magistrates Court (15 D’Eynsford Road London SE5 7UP). 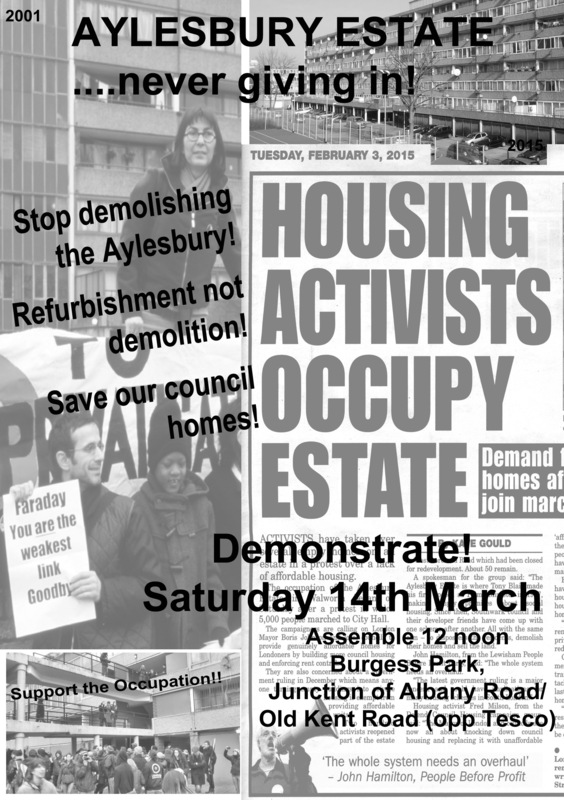 One of the ‘Aylesbury Six’ – the people arrested during the eviction operation on Tuesday 17th (links to media articles below) – has a plea hearing, and we’ll be outside to support him. He’s a tenant from the estate, and we want to make sure he feels the strength of our solidarity, so would love to have a large presence outside the court. 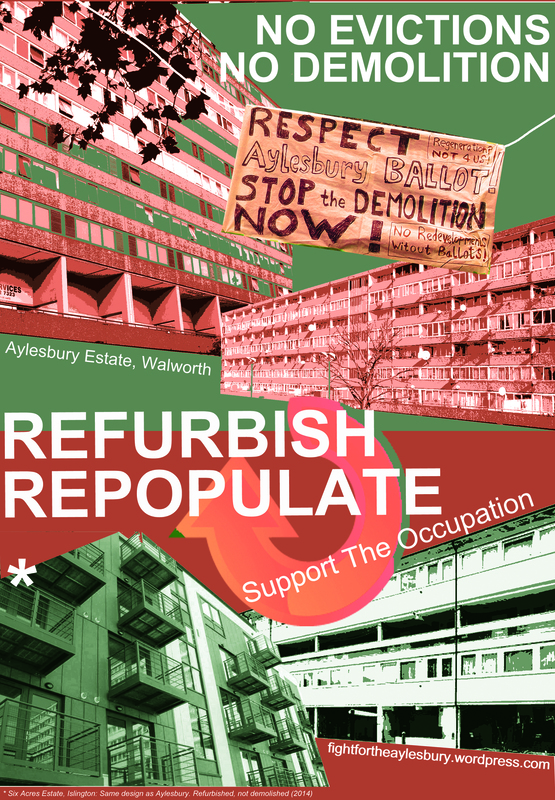 We’ll be there from 10am – 12 noon, and then we’ll go back to the estate to get ready for any eviction attempt, and work out how to continue our protest. So if you can’t make it along in the morning, come and visit us in the afternoon instead. 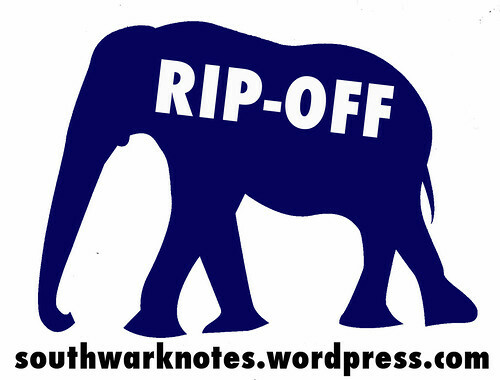 Southwark Council have applied for another Interim Possession Order, and that case is being heard at the same time, at Lambeth County Court. It’s likely that the police are already planning another massive operation to enforce that later this week. We’ll be running some legal workshops on Wednesday pm so that everyone knows their rights. 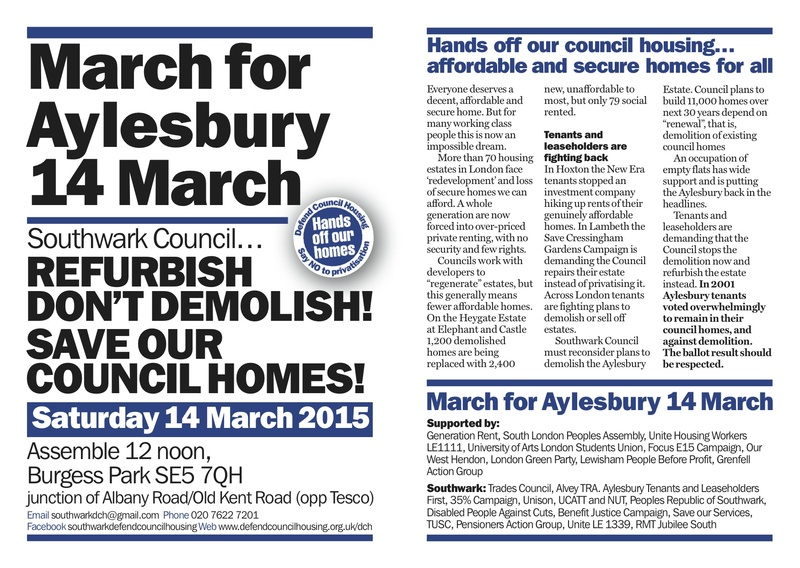 Fight for the Aylesbury! website here! 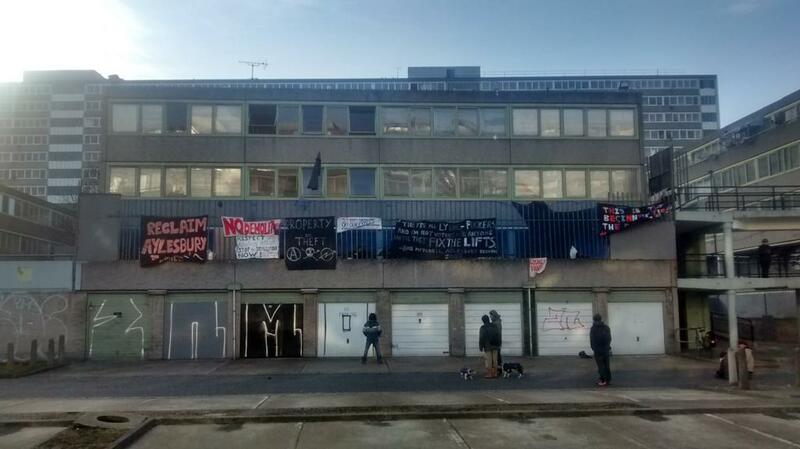 Since moving itself somewhat smartly during last weeks failed police eviction from the old Chartridge block to the new one, the Occupation has been keeping on with getting the message out. This Sunday they are having a Open Day for all to ‘meet the Occupation‘ Get on down and check it out if you haven’t been. Am sure they would also appreciate some good new banners to hang on the block. We are still working on our ‘Peter John – no free lunches here!‘ banner! 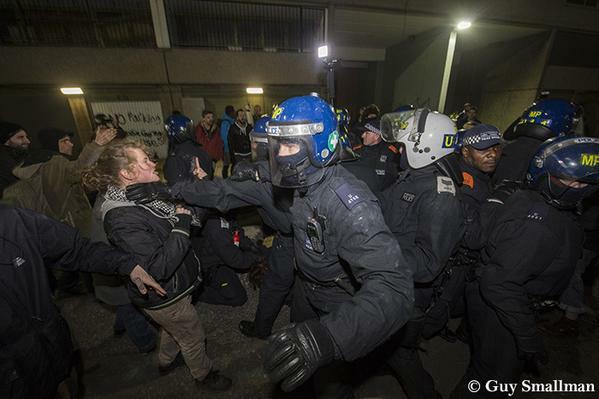 On a serious note, the Occupation is back in court on Weds 4th March (next week) and if possession is granted to Southwark Council, a repeat of last week’s police assault on the Occupation is guaranteed. We can’t stress enough how anyone who supports the Occupation should keep abreast of news after Weds to be ready to get down to any subsequent eviction attempt. Maximum support needed. Please spread the word. 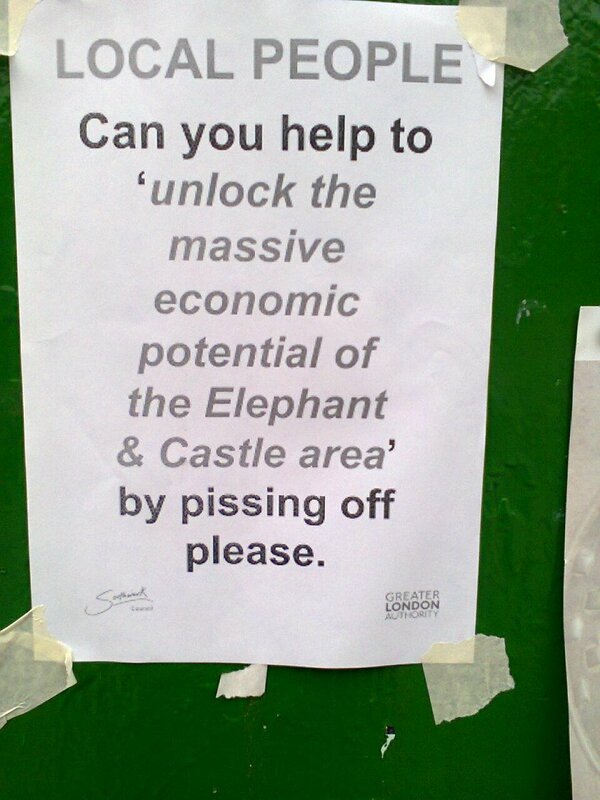 This is serious frontline anti-regeneration stuff going on (amongst all the other great campaigns and fights) . Be there and get your mates down too. All hands on deck! 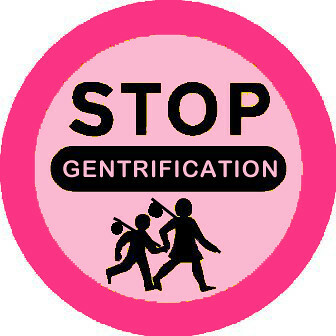 Please circulate the need for eviction support via Twitter, Facebook etc and through your own networks and email lists. All welcome. 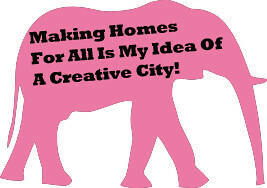 All housing campaigns welcome.! See you there. Make some noise!